Facebook pictures videos & messages can be downloaded from your Facebook account. While going through subjected process you will get 2 types of things. First and most obvious you can download your Facebook pictures videos & messages. And the best thing is, you can also recover your deleted Facebook pictures videos & messages. So I am sure this sounds good for you. There is no need to buy any paid software to recover deleted data from Facebook. Facebook itself providing you option to download and recover your Facebook pictures videos & messages. 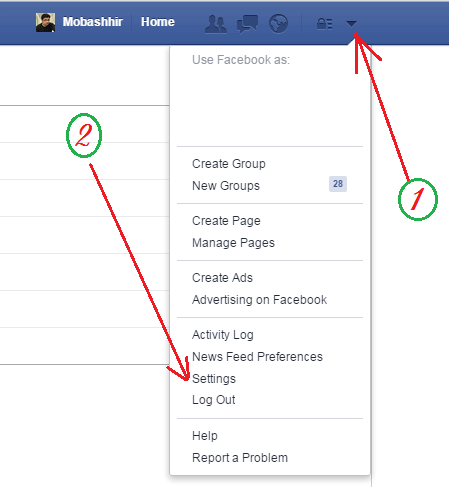 Before going through the process, I want to tell you what you can recover / download from your Facebook. 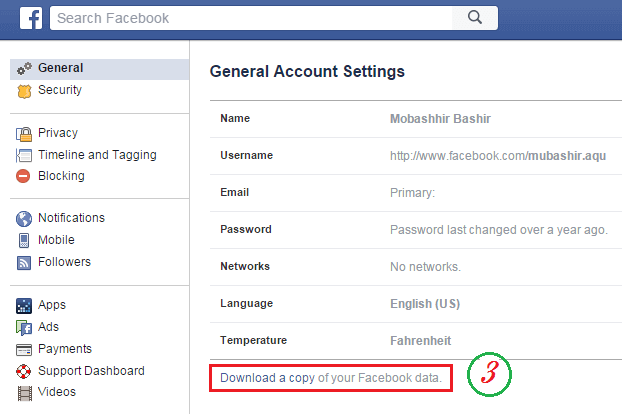 The good news is, you can recover / download almost everything from your Facebook account. So this thing is not limited to Facebook pictures videos & messages. Here is list of Facebook data you can recover / download. So all you need to do is, follow the instructions below. Now click on “Download a copy” link. So here you see, Facebook is asking password. It means you have maximum Facebook security for your personal data. So you can recover / download Facebook pictures videos & messages securely. In the meantime you will also receive an email to cancel the request. Means, if you change your mind then you can go to your email account. Open the email with subject “Facebook download request”. And now click on link given for cancellation of request. From above pictures; after finishing the last step, Facebook will take some time to collect your data. It depend on, how much data you have in your account, and how much data you have deleted already. Facebook will again send you email with data recovery of your Facebook account. The subject of the email will be “Your download request is ready”. So now open the email and click on the link given in email. You will be redirected again to the step number 4 from above pictures. Now no need to be panic. Just click on “Start My Archive” button again and submit the password. Your download button will become ready. Just click on “Download Archive” button. You will be redirected again to the step number 4 from above pictures. Now no need to be panic. Just click on “Start My Archive” button again and submit the password. Your download button will become ready. Just click on “Download Archive” button. Downloading will start now. The file size also vary, and it is totally depend on data whatever you share. So finally you will be having all of your Facebook pictures videos & pictures in your device. Thanks for sharing this! I thought I had lost some travel photos from several years ago but saw that they were on my facebook still. This was a timesaver. Good to know that you get benefit out of it.